Can you believe that the week is halfway over already?! Time surely is flying. I'm so glad to be slowly getting back into the groove of things again because honestly guys I have missed doing and sharing my Watermarble Wednesday's posts! So, of course, I had to make sure that I had one ready to go for this week and here we are! Let's take a look. I've actually had this done for some time now but I just never did get around to sharing it. To be honest I think this may be one of my all-time favourite watermarble manis that I have done for the year thus far! I had gotten so many compliments on this which always make me happy lol. I think it would have looked even better if I had added some CG Fairy Dust or something. Maybe next time. TUTORIAL!! Please don't forget to thumbs up and subscribe on YouTube!! This is a beauty! 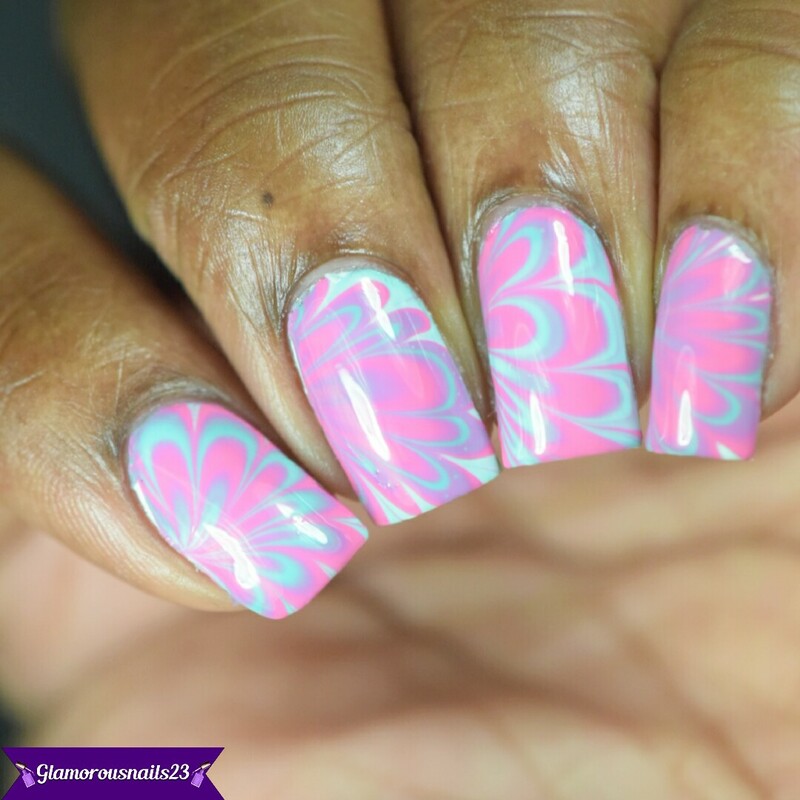 I always enjoy your watermarble manis! 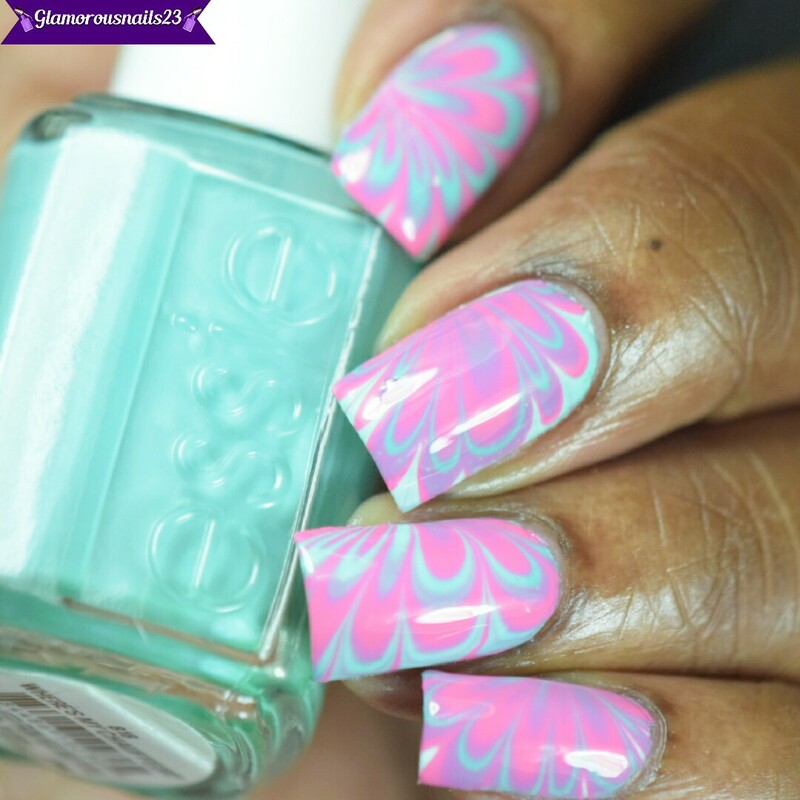 This is a gorgeous watermarble! Love watching water marble tutorials. Those bulls eyes are so hypnotic! That color combination is fantastic. I think I need that Essie now. Ohh, these are beautiful!! Your marble is perfect! This is like cotton candy. Yum! Beautiful water marble! Great choices in color! 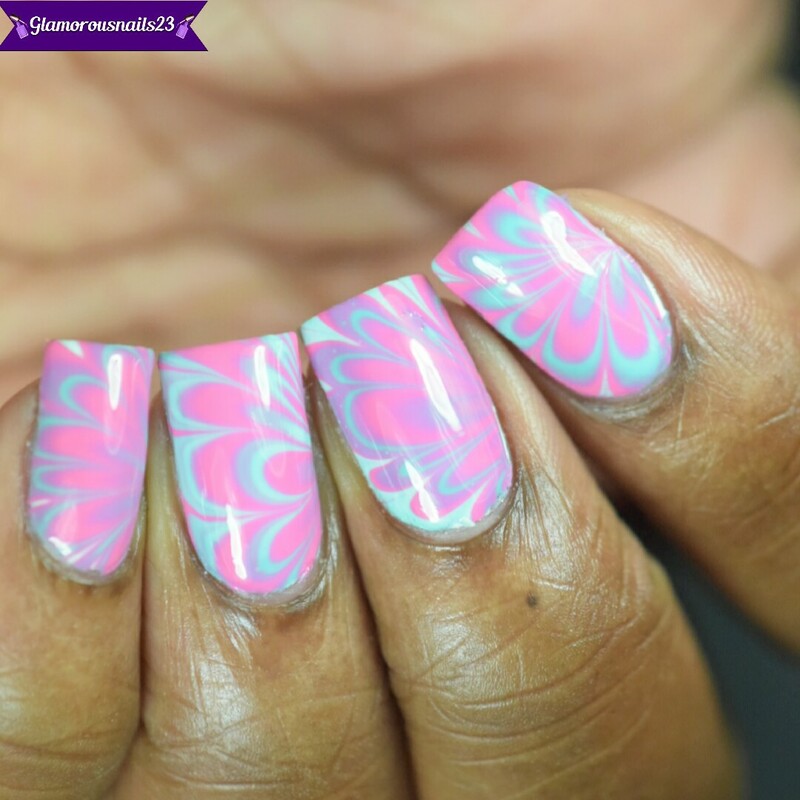 Beautiful water marble! Love the colors you picked. Beautiful mani! And I’m glad to see you back! Thanks. Did you ever end up getting it? Thanks Tracey. Although I haven't done one in what seems like forever. Life I tell ya! I'm hoping to do one for next week this weekend.